Includes technical details of the WebSocket protocol, sample API usage, fallbacks for older browsers, and more. Let's take a look at how WebSocket can reduce unnecessary network traffic and latency by comparing HTTP solutions to full-duplex "real time" browser communication with WebSocket. Normally, when a browser visits a web page, an HTTP request is sent to the web server that hosts that page. The web server acknowledges the request and sends back a response. In many cases—for example, for stock prices, news reports, ticket sales, traffic patterns, and medical device readings—the response may be stale by the time the browser renders the page. If you want to get the most up-to-date real-time information, you can continually refresh the page manually. But that's obviously not much of a solution. Previous attempts to provide real-time web applications largely revolve around polling, long polling, and other server-side push technologies, commonly referred to as "Comet." Ultimately, all of these methods for providing real-time data involve HTTP request and response headers, which contain lots of additional, unnecessary header data and introduce latency. On top of that, full-duplex connectivity requires more than just the downstream connection from server to client. In an effort to simulate full-duplex communication over half-duplex HTTP, many of today's solutions use two connections: one for the downstream and one for the upstream. The maintenance and coordination of these two connections introduce significant overhead in terms of resource consumption and add lots of complexity. WebSocket gets you the most up-to-date and real-time information since it is a new transport protocol for web applications that provides a bi-directional stream of data that arrives in order, much like TCP. As with TCP, higher-level protocols can run over WebSocket. To establish a WebSocket connection, the client and server upgrade from the HTTP protocol to the WebSocket protocol during their initial handshake, as shown in Figure and Listing 1. Note that this connection description represents the latest version of the protocol, as defined in IETF RFC 6455. After the handshake, the client and server can send messages at any time. The client and the server construct messages according to the WebSocket protocol. The bytes preceding the data payload mark the frame length and type. Text frames are UTF-8 encoded. The data sent from the browser to the server is masked, which is an unusual feature of the WebSocket protocol. Every byte of payload data is XORed with a random mask to ensure that WebSocket traffic does not look like other protocols. Like the Sec-WebSocket-Key hash, this is meant to mitigate an arcane form of cross-protocol attack against a non-compliant network infrastructure. Figure 2 shows an example of a WebSocket frame. Imagine performing a Yahoo! or Google search. As you type in a letter, an Ajax request is fired off to the server for a list of suggested words that start with that letter. An HTTP request may look like the one shown in Listing 2. Just for fun, let's add up all the characters. The total HTTP request and response header information overhead (not even including all the cookie data!) contains 871 bytes — and that's just the overhead. Of course, this is just an example and there could be less than 871 bytes of header data… but we also know that the header data commonly exceeds 2,000 bytes. So, what happens when we deploy an application that makes frequent polling HTTP requests for real-time updates to a large number of users? Let's take a look at the network overhead for just the HTTP request and the response header data associated with this request in three different cases. Figure 3 compares the dramatic reduction in unnecessary network traffic that is obtained for the polling solution with 1,000, 10,000, and 100,000 concurrently connected clients and compares it to what that would look like with WebSocket instead. And what about the reduction in latency? Take a look at Figure 4. In the top half, you see the latency of the half-duplex polling solution. If we assume for this example that it takes 50 milliseconds for a message to travel from server to browser, then the polling application introduces a lot of extra latency because a new request has to be sent to the server when the response is complete. This new request takes another 50ms, during which the server cannot send any messages to the browser, which results in additional server memory consumption. In the bottom half of the figure, you see the reduction in latency provided by the WebSocket solution. Once the connection is upgraded to WebSocket, messages can flow from server to browser the moment they arrive. It still takes 50 ms for messages to travel from server to browser, but the WebSocket connection remains open, so there is no need to send another request to the server. WebSocket provides an enormous step forward in the scalability of the real-time web. As we have just shown, WebSocket can provide a 500:1 or—depending on the size of the HTTP headers—even a 1000:1 reduction in unnecessary HTTP header traffic and a 3:1 reduction in latency. All of today's widely used browsers already support WebSocket. For details, see http://caniuse.com. To create a successful WebSocket connection, however, you need a WebSocket-enabled server. Fortunately, there are already lots of WebSocket server implementations out there and even more under development. The following are just a few of the existing WebSocket servers. In this section, we'll explore the use of WebSocket in more detail. Listing 4 shows how a call to window.WebSocket returns the WebSocket object if it exists or triggers a failure case if it does not. Figure 5 shows the resulting message in Microsoft Internet Explorer 10, which supports WebSocket. Another way to see if your browser supports WebSocket is to use the browser's developer tools. Figure 5 shows how you can use the WebSocket API from the debug console. You can also test to see if WebSocket is supported there. If it is not, the window.WebSocket command returns "undefined." In Google Chrome, you can also navigate to chrome://netinternals/# sockets to get fine-grained information about all socket connections as shown in Figure 6. Using the WebSocket interface is quite straightforward. To connect to an endpoint, just create a new WebSocket instance, providing the new object with a URL that represents the endpoint to which you wish to connect. You can use the ws:// and wss:// prefixes to indicate a WebSocket and a WebSocket Secure connection, respectively. When you make a WebSocket connection, you have the option of listing the protocols your application can speak. The second argument to the WebSocket constructor can be a string or array of strings with the names of the subprotocols that your application understands and wishes to use to communicate. Hypothetically, proto1 and proto2 are well defined protocol names that both the client and server can understand; they may even be registered and standardized. The server will select a prefered protocol from the list. When the socket opens, its protocol property will contain the protocol that the server chooses. WebSocket programming follows an asynchronous programming model; once you have an open socket, you simply wait for events. You don't have to actively poll the server anymore. You add callback functions to the WebSocket object in order to listen for events. Let's take another look at this message handler. The data attribute on the message event is a string if the WebSocket protocol message was encoded as text. For binary messages, data can be either a Blob or an ArrayBuffer, depending on the value of the WebSocket's binaryType property. While the socket is open (that is, after the onopen listener is called and before the onclose listener is called), you can use the send function to send messages. After sending one or more messages, you can also call close to terminate the connection or you can leave the connection open. In more advanced uses of WebSocket, you may want to measure how much data is backed up in the outgoing buffer before calling send(). The bufferedAmount attribute represents the number of bytes that have been sent on the WebSocket that have not yet been written onto the network. This could be useful for throttling the rate at which the application sends data. In addition to strings, WebSocket can also send binary data. This is especially useful when you want to implement binary protocols, such as the standard Internet protocols that are typically layered on top of TCP. The WebSocket API supports the sending of Blob and ArrayBuffer instances as binary data. Now that you have a socket connection in your browser, you can do lots of things that were not previously possible in a browser. In fact, the first line in the WebSocket API specification defines WebSocket as an "API that enables Web pages to use the WebSocket protocol for two-way communication with a remote host". Combine the powerful socket connectivity over standard web ports with other HTML5 features such as canvas and SVG for visualization of the WebSocket data, local storage, and offline capabilities, and you can create web applications that are on par with desktop applications with the added benefit that they don't have to open non-standard ports to communicate to a backend server. A common approach is to use some JSON format over WebSocket. But once you start writing your own syntax for how traffic should flow over the wire, you should consider using existing protocols. For example, you may want to use include Extensible Messaging and Presence Protocol (XMPP or Jabber), Advanced Message Queuing Protocol (AMQP), Remote Frame Buffer (RFB, or VNC), and Streaming Text Oriented Messaging Protocol (STOMP). Traditional web pages, shown in Figure 7, are usually assembled on the server side and pushed out as static, stateless content to the client. Conversely, modern web apps, shown in Figure 8, can behave more like client-server applications in which the browser first requests the static resources for the web page from an HTTP server (or a network edge caching server), then makes stateful WebSocket-based backend connections. Figure 8. Traditional web apps generated server-side available for the viewer. Architectures like this are often achieved by using some sort of higherlevel protocol, which, in turn, enable HTML5 web apps to rapidly become first class network citizens. What happens with WebSocket connectivity in the real world when you move away from localhost tests and proof of concepts? 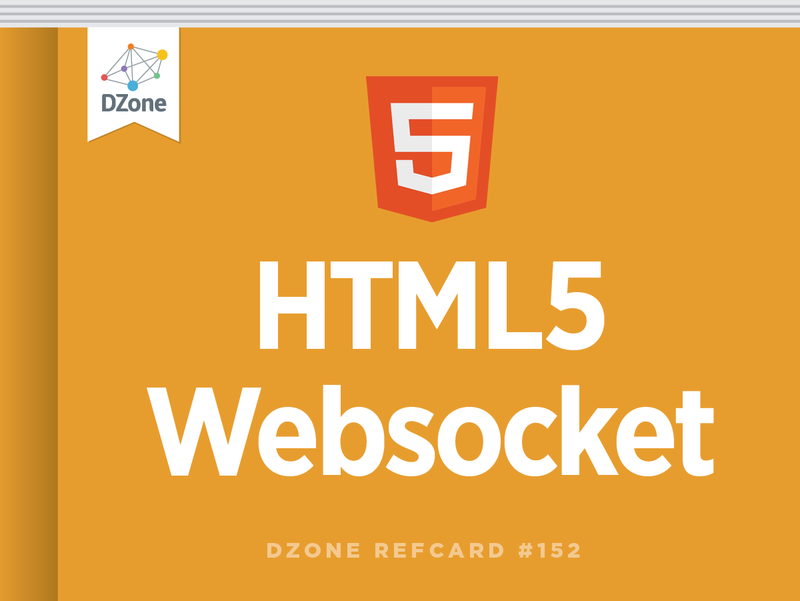 This section will cover what happens when a WebSocket connection traverses intermediaries on the network and what can be done to make WebSocket work in older browsers. Real-world WebSocket traffic will flow through proxy servers. Figure 9 shows a simplified network topology in which clients use a browser to access back-end TCP-based services using a full-duplex HTML5 WebSocket connection. Some clients are located inside a corporate network that's protected by a corporate firewall and configured to access the Internet through explicit or known proxy servers, which may also provide content caching and security. Other clients access the WebSocket server directly over the Internet. In both cases, the client requests may be routed through transparent, or unknown, proxy servers (for example, a proxy server in a data center or a reverse proxy server in front of the remote server). It is even possible for proxy servers to have their own explicit proxy servers, which increases the number of hops the WebSocket traffic has to make. When the explicit proxy server allows the CONNECT method, the WebSocket connection upgrade handshake can be made. When that handshake succeeds, WebSocket traffic can begin to flow unimpeded through the proxy server. In the case that the unencrypted WebSocket traffic flows through a transparent proxy on its way to the WebSocket server, the connection is likely to fail in practice since the browser will not issue the CONNECT method. When a proxy server forwards a request to the (WebSocket) server, it is expected to strip off certain headers, including the Connection header. Therefore, a well behaved transparent proxy server will cause the WebSocket upgrade handshake to fail almost immediately. Not all proxy servers conform to the HTTP standard in terms of expected proxy behavior. For example, some proxy servers are configured such that they do not remove the Connection: Upgrade header ; instead, they pass it on to the WebSocket server, which in turn sends the 101 Switching Protocols response. Problems then arise when the client or the server begins sending the first WebSocket frame. Since the frame does not resemble anything the proxy server might expect (such as regular HTTP traffic), some form of rejection or hiccup will likely occur unless the proxy server is specifically configured to handle WebSocket traffic. Fortunately, there is a solution to this problem. You can use WebSocket Secure (wss:// scheme), which will first establish an end-to-end encrypted tunnel. With the wire traffic now encrypted, intermediate transparent proxy servers will simply allow the encrypted traffic through, so there is every likelihood that the WebSocket connection will succeed. Therefore, it is always best to use WebSocket Secure using TLS (a.k.a. SSL) encryption to connect to a WebSocket server unless you're absolutely certain there are no intermediaries. While TLS encryption has the added benefit of being more secure, it does increase CPU consumption for both the client and the server, though usually not to a dramatic degree. With hardware TLS acceleration, you can reduce CPU consumption to near zero on the server side. What About Browsers that Do Not Support WebSocket? Let's take a look at how WebSocket can reduce unnecessary network traffic and latency by comparing HTTP solutions to full-duplex \"real time\" browser communication with WebSocket. Previous attempts to provide real-time web applications largely revolve around polling, long polling, and other server-side push technologies, commonly referred to as \"Comet.\" Ultimately, all of these methods for providing real-time data involve HTTP request and response headers, which contain lots of additional, unnecessary header data and introduce latency. Another way to see if your browser supports WebSocket is to use the browser's developer tools. Figure 5 shows how you can use the WebSocket API from the debug console. You can also test to see if WebSocket is supported there. If it is not, the window.WebSocket command returns \"undefined.\"
Now that you have a socket connection in your browser, you can do lots of things that were not previously possible in a browser. In fact, the first line in the WebSocket API specification defines WebSocket as an \"API that enables Web pages to use the WebSocket protocol for two-way communication with a remote host\". Combine the powerful socket connectivity over standard web ports with other HTML5 features such as canvas and SVG for visualization of the WebSocket data, local storage, and offline capabilities, and you can create web applications that are on par with desktop applications with the added benefit that they don't have to open non-standard ports to communicate to a backend server.